Today looked like the days of rain and or visitors were finally clearing. So I was poised for a ride. Alas although it seems clearing this afternoon the wind is horrible. Off I trotted to my coffee house for Kaffe and cryptic. When I arrived I found a beer tasting festival in the Town square that had been going since 6pm yesterday. Beer stalls for tasting, Danish/Irish bands on stage and of course rain. 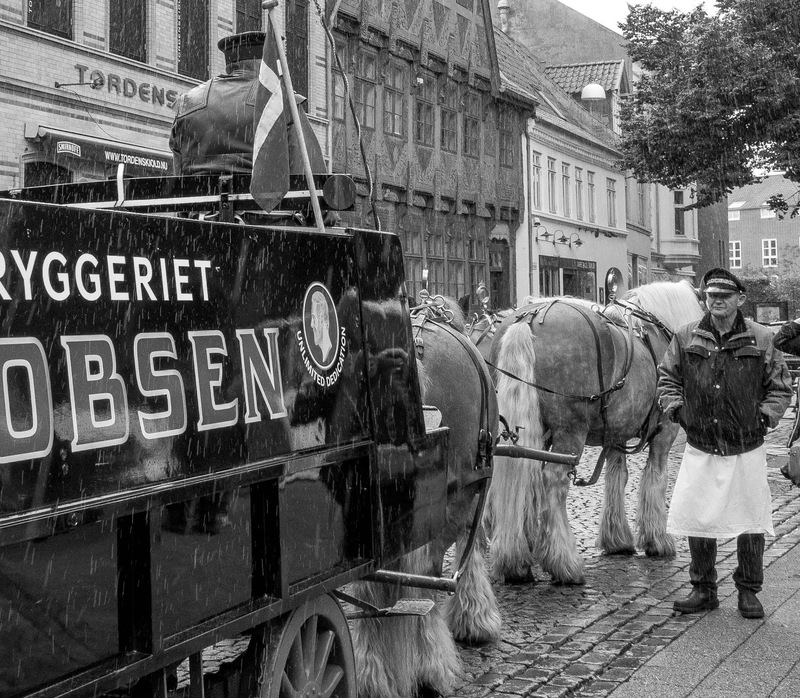 The Danes don't let the rain come between them and beer or for that matter anything. Its kinda nice as they are always up for any out door activities or events regardless of weather. Just as well as the Kommune seems to have arranged events almost every week. Anyway I had a couple of coffees and then hung around listening to the bands in the rain. I think the following sums it up. Here's hoping for a ride tomorrow where I can also try out my new screen.